Brazil have unveiled the 24 players who will carry the hopes of the host nation when rugby sevens makes its Olympic Games debut at Rio 2016. 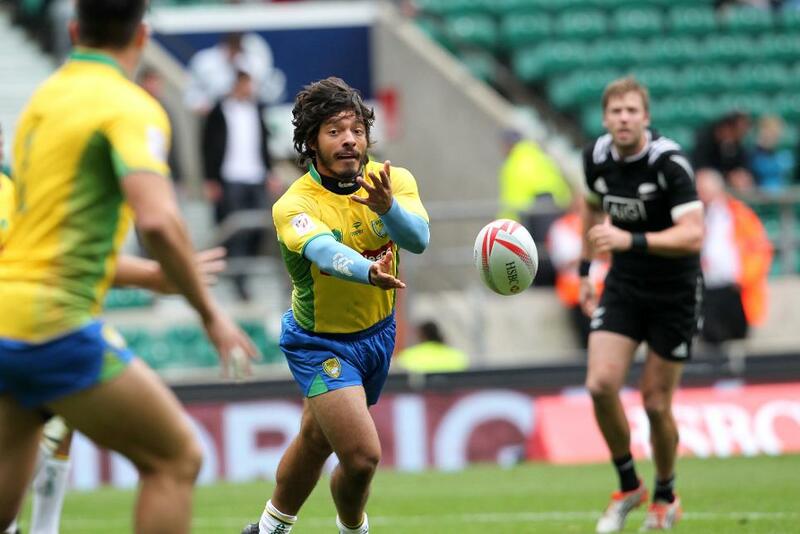 The Confederação Brasileira de Rugby have announced the 12 men’s and 12 women’s players to represent the country at rugby sevens at the Rio 2016 Olympic Games from 6-11 August. The men’s squad is spearheaded by the experienced Duque brothers, Lucas, Moisés (pictured below) and Felipe ‘Alemao’ Silva, who have been representing their country since 2005. The women’s event begins on 6 August, marking an end to rugby’s 92-year hiatus from the Olympic Games. Brazil's women face two of the fancied medal contenders, Great Britain and Canada, before tackling Japan, who finished one place below them in 11th in the 2015-16 HSBC World Rugby Women’s Sevens Series. The men’s event gets underway on 9 August, at the same Deodoro Stadium, with Brazil pitted against world series champions and pre-tournament favourites Fiji and Americas rivals USA and Argentina.